My littlest button's birthday is Monday, and we're having a party for her tomorrow. She's going to be 4. My little babe. :-\ She's getting decidedly not-so-little. She's seeming quite tall and lanky these days. And sassy, have I mentioned that? 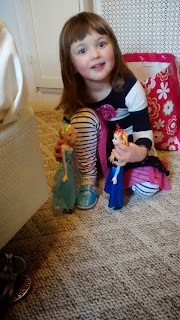 Her party has a Frozen theme, complete with Elsa dress and cake with Olaf's face on it. She's terribly excited and adorable about the whole thing. -2- Who can resist this face? She is precious, isn't she? -3- What's on my Kindle? Lots of book talk again this Friday. And what's on my Kindle? *unladylike snort* A LOT of books. But what I'm currently reading is An Amish Gathering: Life in Lancaster County, which is a compilation of novellas by Beth Wiseman, Kathleen Fuller and Barbara Cameron. Leah is no good at cooking, cleaning, sewing, gardening―the skills that young women need to make a proper Amish wife. All she wants to do is write stories, but she's sincerely tired of being a disappointment. Will she ever find someone who accepts her just as she is? And can an almost-Amish angel in red polka dots help her find her way? 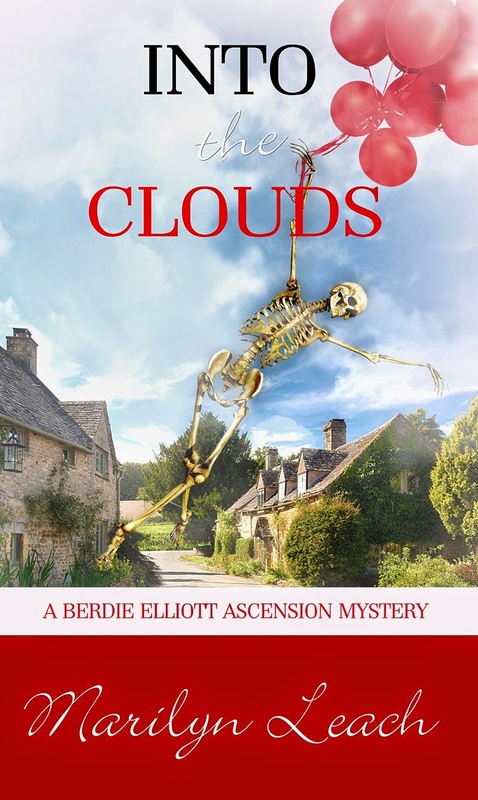 It's been too long since Rebecca has done what she loves―put on her skates and fly across the ice. Five years have passed since a winter accident took her twin Lizzie and left Rebecca heartbroken. And Ben has waited for her all that time. At last she's starting to heal. But has too much time passed for their hearts to reconnect? I'm still on the first story, and it's excellent so far. Beth Wiseman is a favorite of mine, to be sure. 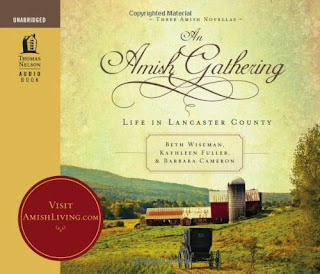 The premise is different from other Amish books I've read. I'm digging it! Speaking of my current read, I have been on a real fiction kick lately. I've been going through more books that I've downloaded and been saving up, and I have plans to download some more that I'm coveting for my trip to Atlanta next month. So, I'm thinking that at least for the summer, the Catholic Book Club will incorporate in more fiction (with a religious bent, certainly). It's just the mood that I'm in, so why not, right? If you enjoy religious fiction, be sure to stay tuned for upcoming titles that we can read together. -5- May book club coming up soon! I couldn't resist the feast of the Ascension tie-in. I reviewed the Advent book in this series, and really enjoyed it, so I thought this installment was perfect for May. I just finished reading it a few days ago, and am looking forward to talking to you about it. If you'd like to join in, the book is only $3.99 for Kindle! -7- Have I mentioned how excited I am about the video series I'm starting? Yes, clearly. :0 But I can't help it, I'M SO EXCITED! If you haven't joined in the fun yet, my very first video post ever is linked here, and I'm looking forward to recording another installment next week. These will be called "Tea Time with Tiffany" and we can kibbutz together each week over tea or coffee. I'm figuring out my topics for the next few weeks, and I have also received some suggestions, so I'm keeping a list of everything! As a preview, some things on the list are: my identity within academic librarianship, and will I continue to have a role as an old fashioned reference librarian? 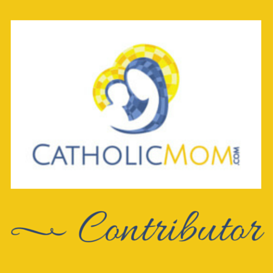 How do I integrate my Catholic faith into my marriage? How did I discover Catholic podcasting?...and my experiences, as a Class A Introvert ;-), at my very first Catholic New Media Conference. How did I get started taking classes in Middle Eastern dance? I'll talk about the feedback that I've received a bit more on next week's edition of the show, I promise, because there are some really fascinating suggestions in there. Yay? YAY! All right everyone, talk to you next week. Have a beautiful weekend, and please come back to join me afterward for some fun conversation and fellowship. 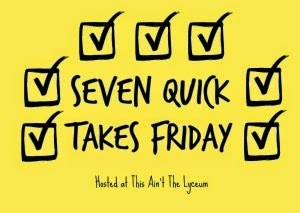 Until then, don't forget to check out more 7 Quick Takes over at This Ain't the Lyceum!